WE SURVIVED THE WEEK. Cue all the jazz hands! Seriously. You know you want to do it. Or at least I do because this week was a doozy. It was the kind of week that felt soooooo long, almost like two weeks packed into one. And then to make things extra fun I was stuck at home for a variety of reasons all week with the exception of two quick outings. Needless to say I had very little adult interaction and I’m pretty sure my sanity is barely holing on at this point, so I’m hoping to make it out into the real world this weekend. But first I thought it would be fun to share 10 unique finds I’ve come across on Etsy recently. Some are true, one-of-a-kind antiques and some are vintage inspired reproductions. Either way they’re all pretty snazzy, so grab your coffee and let’s do some shopping! Ok, first up I found the coolest shop that sells book page inspired fabric wall art. Isn’t that an awesome idea? 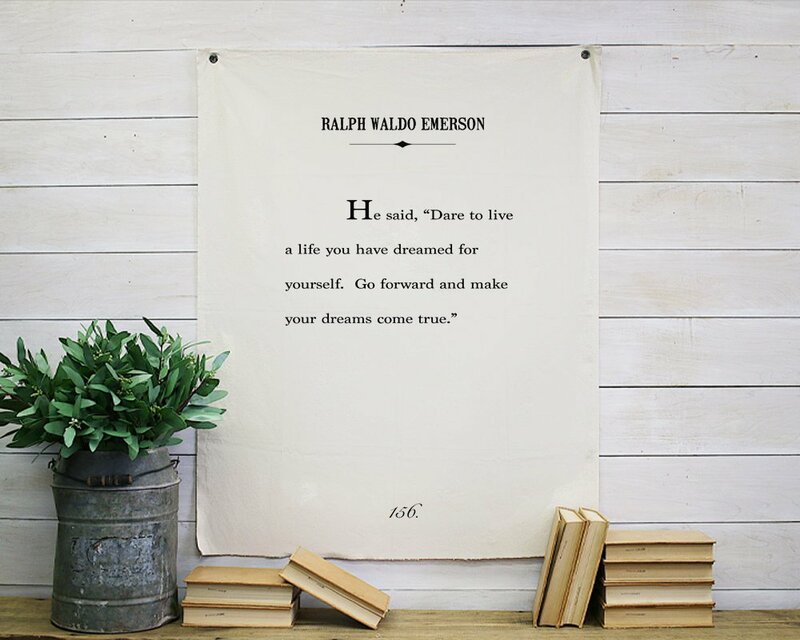 They have all kinds of different options, but I think my favorite is this quote by Emerson. 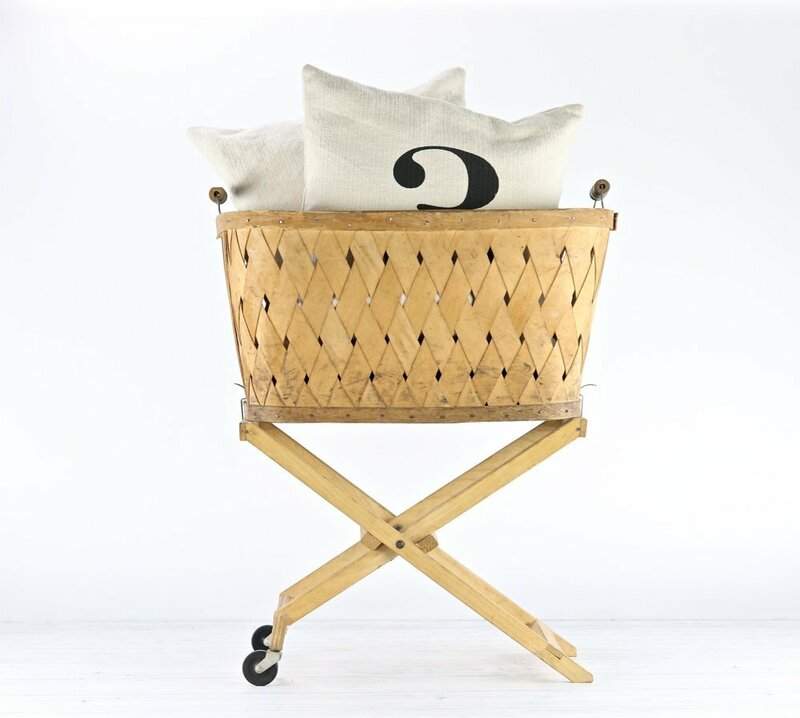 This vintage laundry basket on wheels is definitely one of the coolest things I’ve ever seen on Etsy. This would be so fun in the corner of a living room with a few throw blankets and pillows. Or with a potted plant. I looooooove it!! 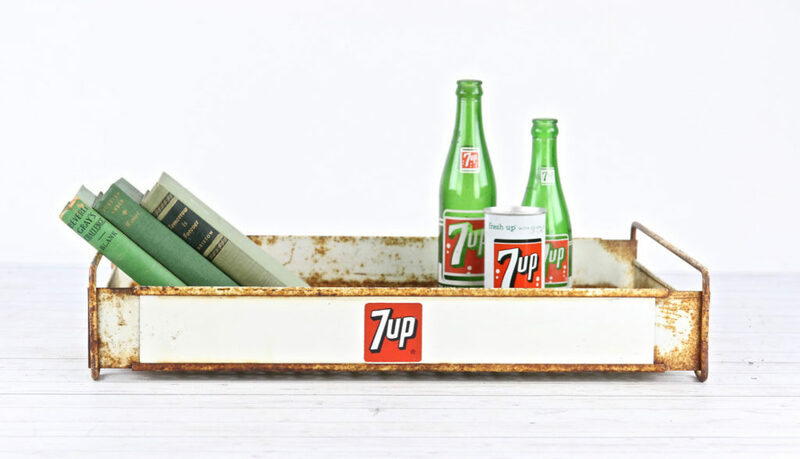 Have you ever seen a vintage 7up tray like this?! I definitely have not and I think it’s such a fun piece. I’d style this with a few old books, fresh flowers, and maybe a candle on the kitchen table. 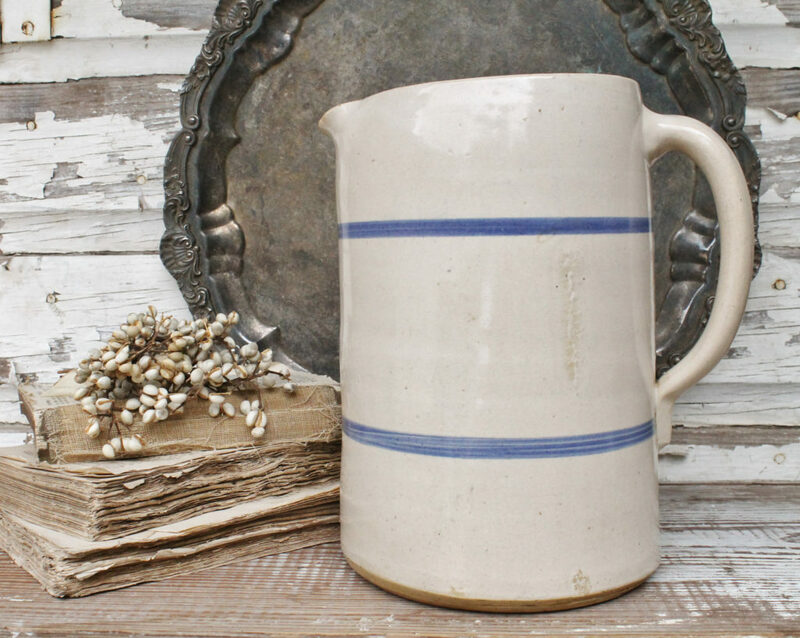 This antique crock pitcher is SO pretty with those cobalt blue stripes. The price on this isn’t too bad either–espeically for a pitcher that has been around since the 1910s. Once you have the crock pitcher, you’ll need a set of primitive wooden spoons to style it. Aren’t these so cool? I love the different shapes. This shop is new to me and it has a lot of awesome vintage finds. 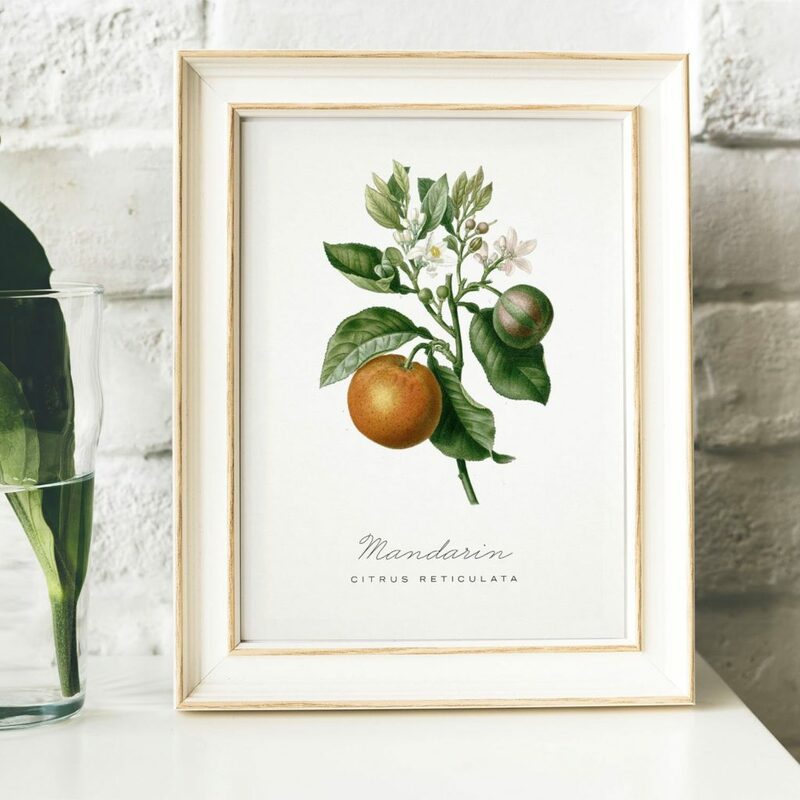 You know I’m a big fan for botanical prints, so when I found these vintage inspired fruit prints I was so excited. These come in several different sizes–even up to 24X36. There are lots of different options too–perfect for spring and summer decor! Ok, how darn adorable is this minty green scale? 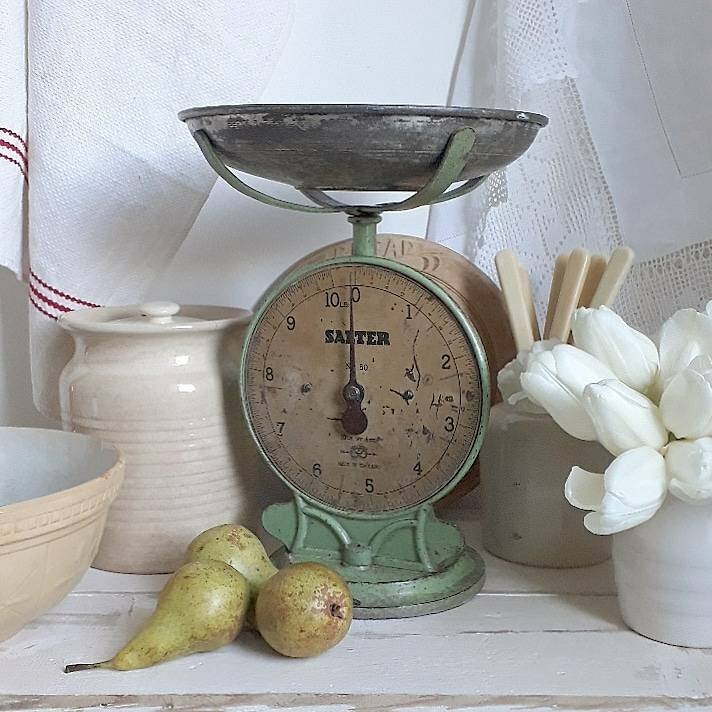 I feel like I can’t shop on Etsy without looking at antique scales. I just can’t help it. Anyway I’ve never seen one like this and I absolutely LOVE it. That pop of color would is so fun! 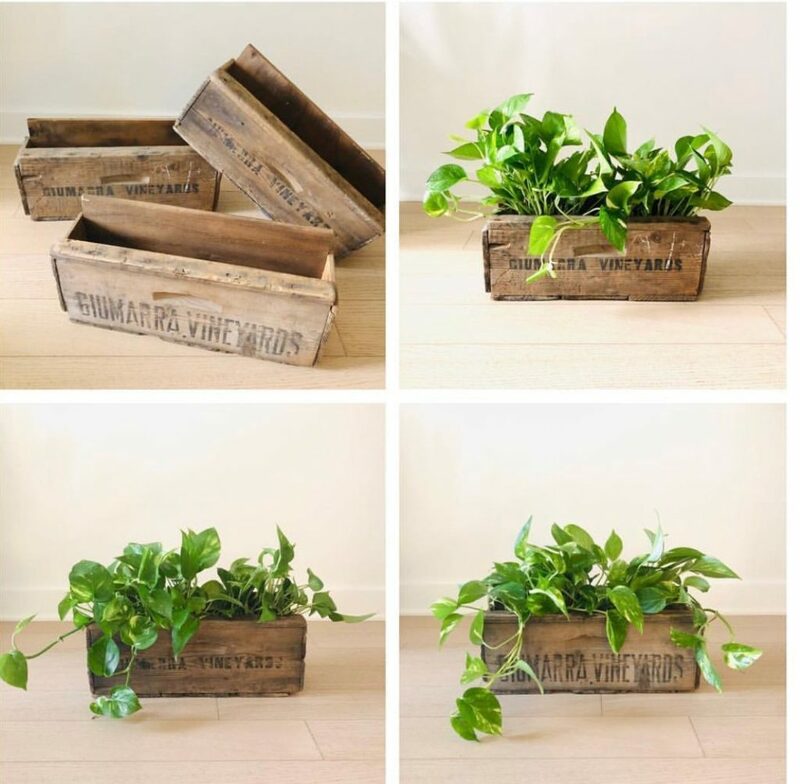 These vintage wooden crate planters would be perfect for an indoor window garden and they even remind of these little DIY planters I made a few years ago. Super duper cute! 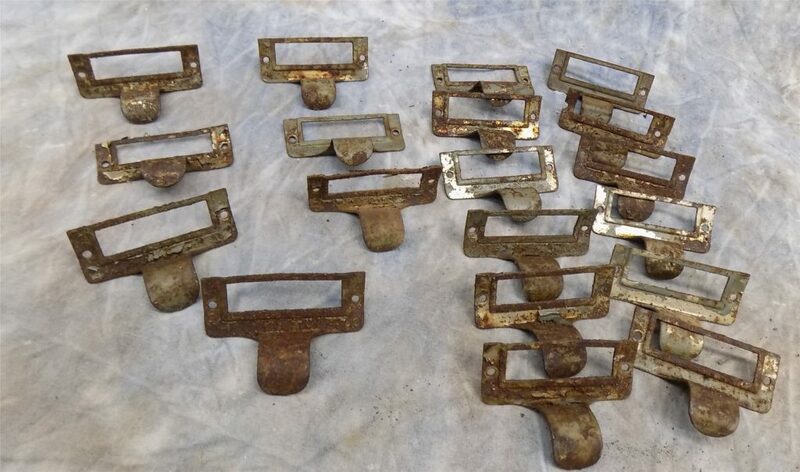 These antique drawers pulls would make such a fun DIY project, right? I would use them to replace the pulls on a small cabinet or even add them to a piece of furniture that needed a little extra charm. This entire set of 19 is included in the listing! 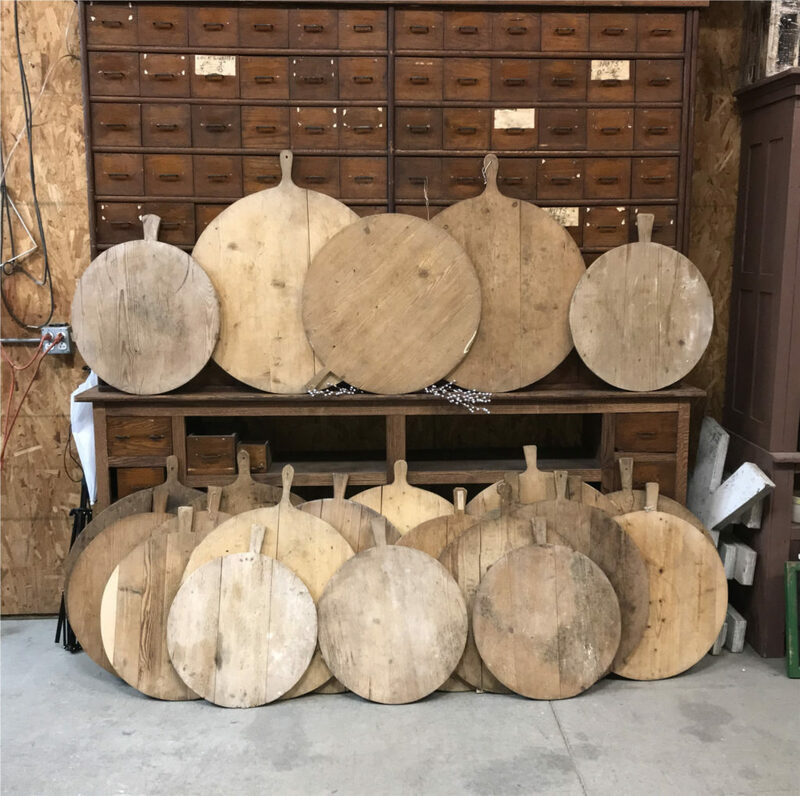 Looking for an antique cutting board? 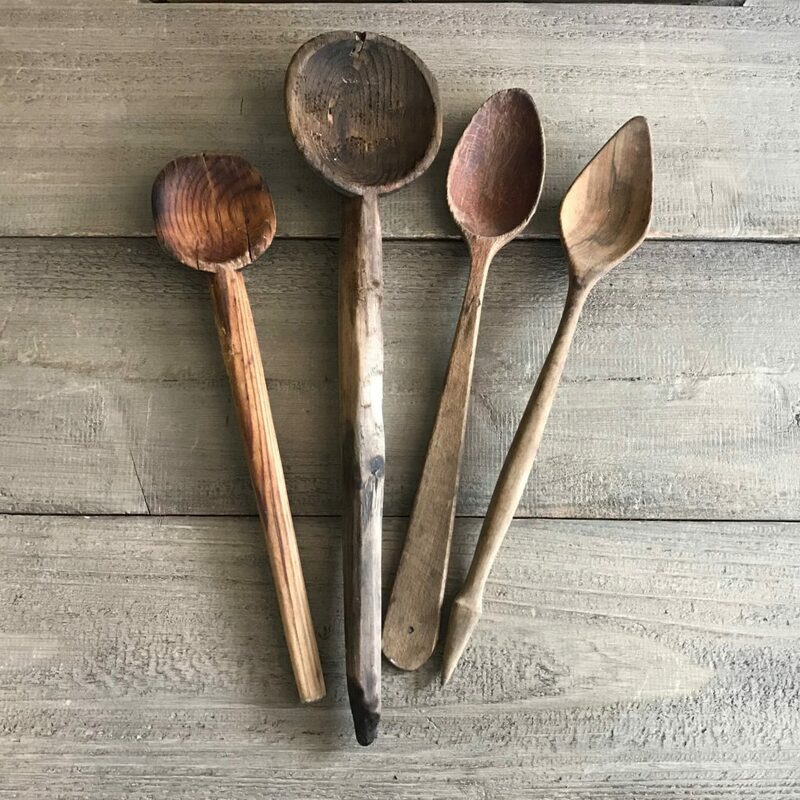 These beauties are all totally authentic and they’d make the perfect addition to any cottage kitchen. I want them all thank you. Well I hope you enjoyed browsing through these 10 unique finds from Etsy! I always have so much fun putting together these Etsy posts for you guys because it’s literally like browsing through the coolest flea market ever–except I’m on the couch in my PJs and eating snacks. Tell me, what’s better than that?! Nothin’. You’re right, it is like browsing the flea market from your couch. I want the blue striped pitcher. It is too cute! I agree with you boy this week was really rough! Being stuck in the house with a 16 month old and this weather reeking havoc on my body made for a very long week. 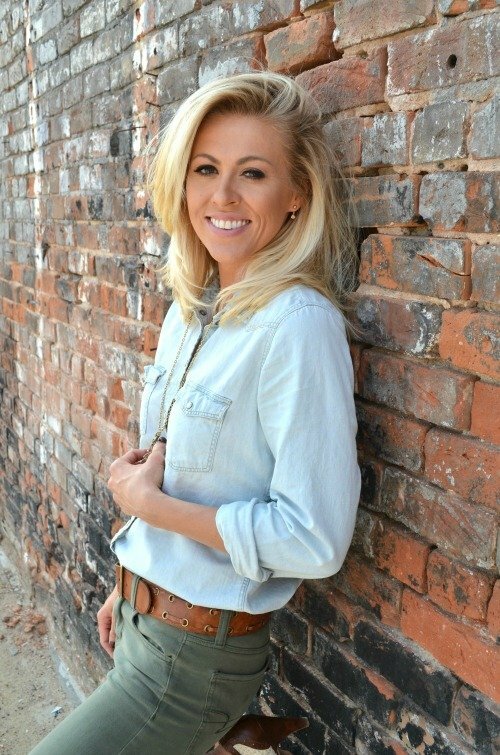 I love your blog posts and following along with you. You keep it real!! ah let’s hope this coming week is better Vanessa. Hang in there mama!! Always fun to see what you find and share with us! I was lucky enough to find a vintage Hawkeye laundry basket like the one you shared but without the wheeled stand recently at my favorite thrift store. It was a steal at just $15, woo hoo! Need to clean it up a little and planning to style it in the corner of my living room with throws and pillows. Love all the things you post on your blog Sarah. Oh wow Julie, what a STEAL!! I am so jealous. Oh yay!! That’s so fun you bought a few antique closes. Definitely worth the money in my opinion! haha yes me too Melissa!